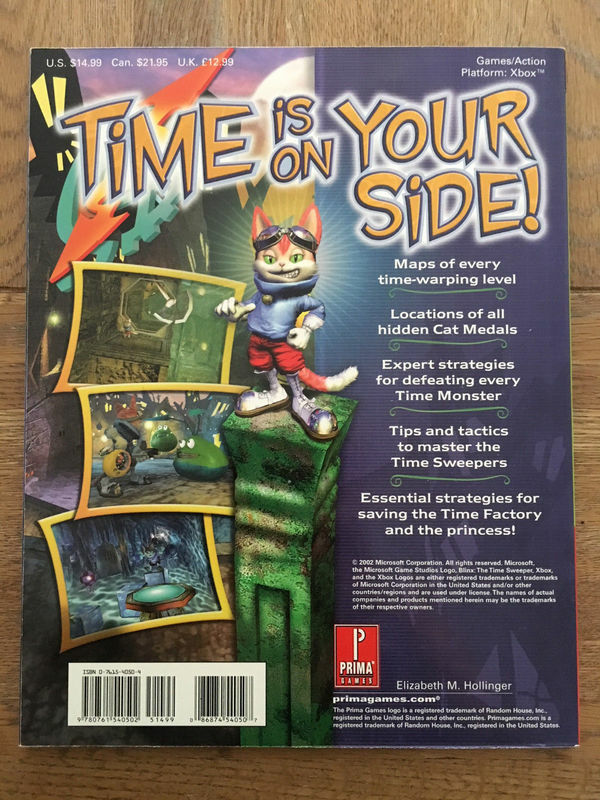 An ongoing masterlist of all known Blinx The Time Sweeper merchandise and promotional items with images and descriptions. 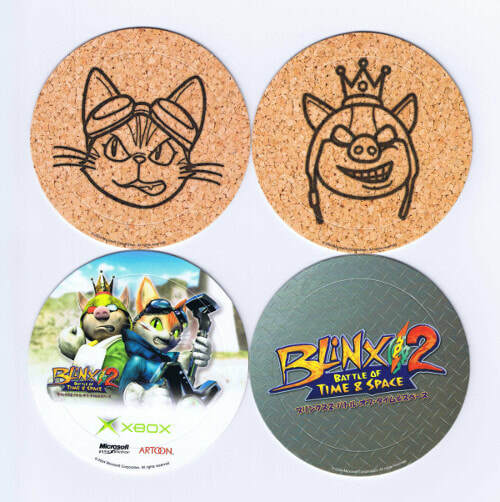 The rarest and most valuable Blinx merchandise every Blinx fan dreams of. Very few exist and in the past have auctioned for hundreds of dollars. 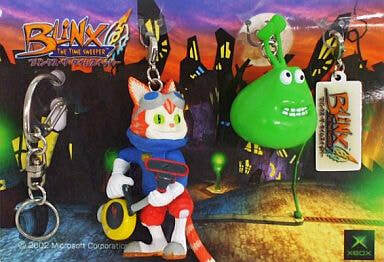 Keychain with Blinx and Chronoblob figure. 100 people who sent the Blinx Christmas e-card recieved this as a bonus gift. 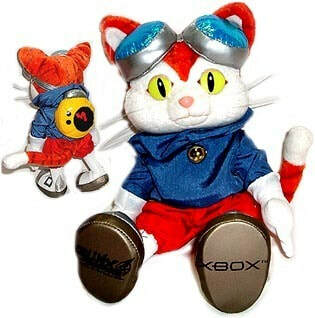 Value among Blinx fans is second to the plush. Prices are usually affordable. ​Blinx watch for adults. 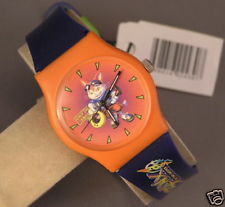 Unlike the Blinx kids watch, it has a metal finish and has the colours of Xbox. Wrist band is often frayed if the watch hasn't been looked after. 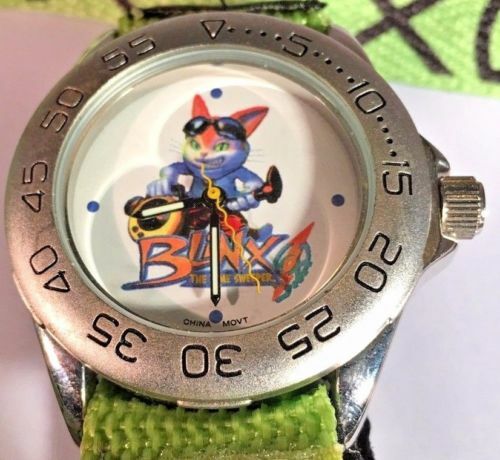 Blinx watch for children. These are much more common and are usually very affordable. 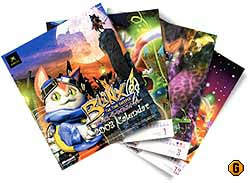 An exclusive calendar of Blinx: The Time Sweeper art. 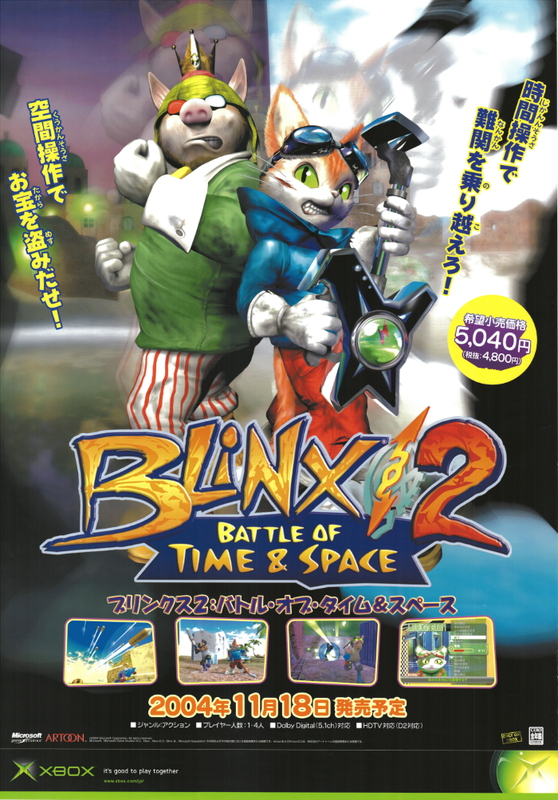 100 people who sent the Blinx Christmas e-card recieved this as a bonus gift. 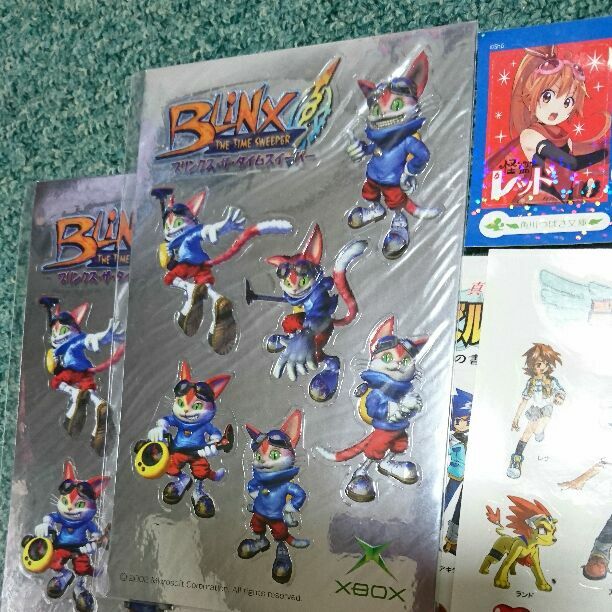 Sticker sheet of Blinx key art and logo. 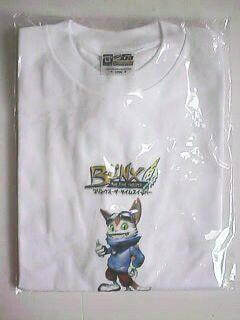 A white t-shirt with some Blinx key art on it. 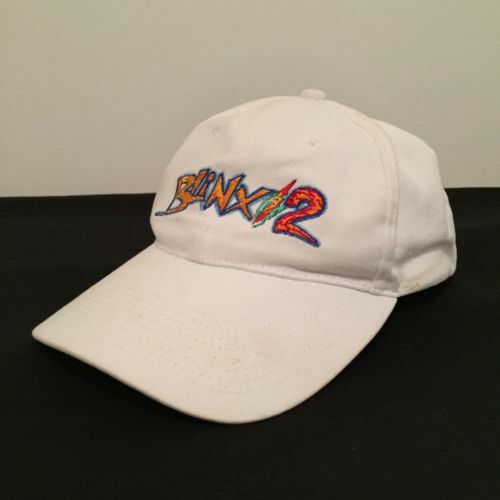 Might have been promotional merch. Rarity: There's at least one in existence, that's for sure. A special good distributed at the Commemoration Release Event. It contains demonstration clips and behind-the-scenes footage. 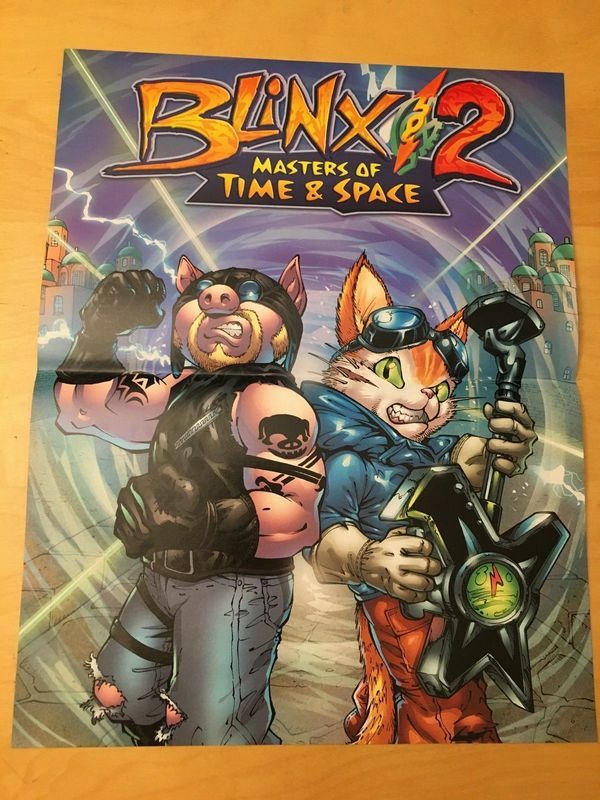 A large window decal featuring Blinx, the logo and Time Square in the background. Rarity: A very expensive and rare sticker. Set of four cardboard coasters. 51.5cm × 72.8cm (under A1) poster for MOTAS. MOTAS cap. How it was distributed is unknown. Make by Legend Headwear. Approximately A4 sized concept art poster.